Iv'e found the following items on Kinninghouse Burn. KINNING PARK. - This small suburb lies close to Kingston, and was constituted a burgh on 16th January, 1871. In my early days it was a truly beautiful rural spot, away from the smoke and stir of the city. The Kinninghouse Burn, formerly called the Mile Burn or Shiels Burn, was a sweet purling stream that meandered through arcadian groves down to the river. In the foreground is the Kinninghouse Burn which once marked the boundary between Lanarkshire and Renfrewshire. The Kinninghouse Burn was also known as the Mile Burn and the Shiels Burn. It ran past Strathbungo, through Pollokshields before joining the Clyde. It acted as a country boundary between Lanarkshire and Renfrewshire on the south west of the city. Does anyone know any more about this burn? 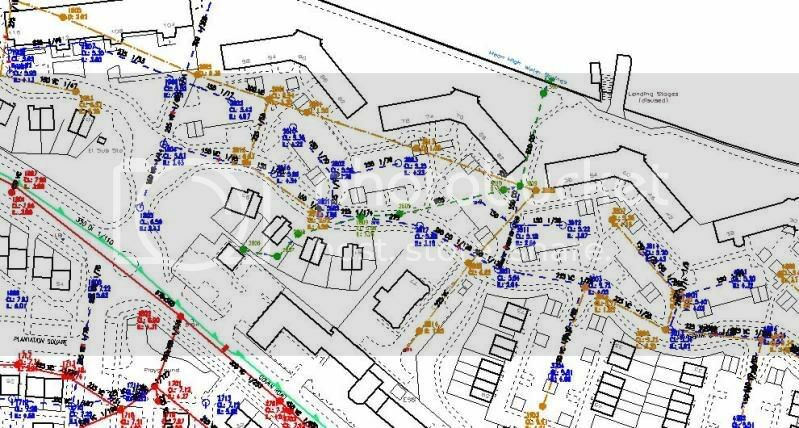 I'm sure on some of the old maps on the NLS site it's also known as the Shaw Burn. The land immediately south of the Clyde i.e. the Gorbals, Laurieston, Tradeston, Pollokshields etc is quite low lying land. You'll see that from the slight slope down Victoria Road which becomes more pronounced after Eglinton Toll down to the Carling Academy. 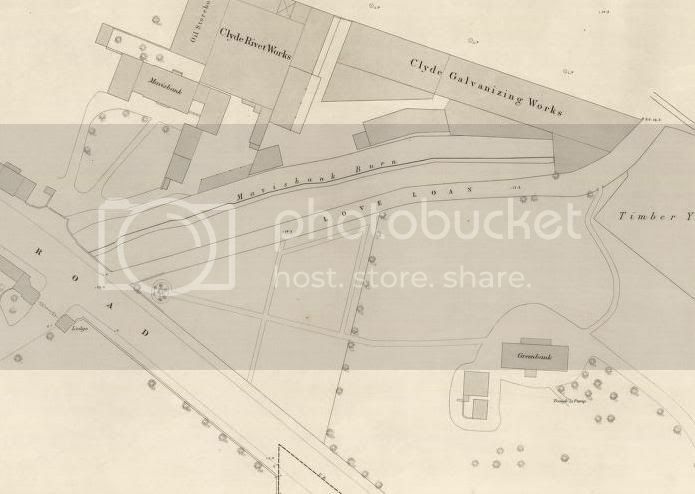 In fact, even although the railway climbs a fair bit up an incline to Pollokshields East it is still below street level at that point yet it is above street level down at Bridge St! This illustrates how low lying that land is. Before it was built upon, the lands outwith Gorbals that I've mentioned were very boggy and marshy. This burn would probably have been formed as a result of water draining from the higher Strathbungo ground. I'd imagine it's now maybe incorporated into the sewage system? It is said that when Mary Queen of Scots was heading from Bothwell to Dumbarton, she had to skirt the boggy ground. This is why she ended up coming through Rutherglen and veering over towards the high ground of Clincart Hill (where Mount Florida Station is) before running into trouble at the battle of Langside. Thanks, just stumbled across this the other day and hadn't seen anything about it before. Yes, sounds like a nice walk. Maybe rather than looking for the burn, why not use an old map to find the boundary between L'shire and R'shire - which will be marked prominently! Ronnie wrote: Yes, sounds like a nice walk. Maybe rather than looking for the burn, why not use an old map to find the boundary between L'shire and R'shire - which will be marked prominently! That is indeed a good idea. Will try and find out some more. As far as I know the source of the Kinninghouse Burn was in the vicinity of Haggs Castle and it entered the Clyde more or less where Frankie & Benny's is now at Springfield Quay. Doubt very much whether there are any visible traces of it left. Oh jebus, thats why their beer tastes like that then! Here's some more about the Kinning House Burn from the book "A History of Kinning Park and District, Glasgow" by Andrew J McMahon et al, 2003 which is available in several Glasgow lending libraries. I also noticed recently that if you stand on the metal stank cover in the middle of the road just to the south of the Springfield Quay pub at The Quay, just on the west edge of the zebra crossing, then you can hear water flowing below. 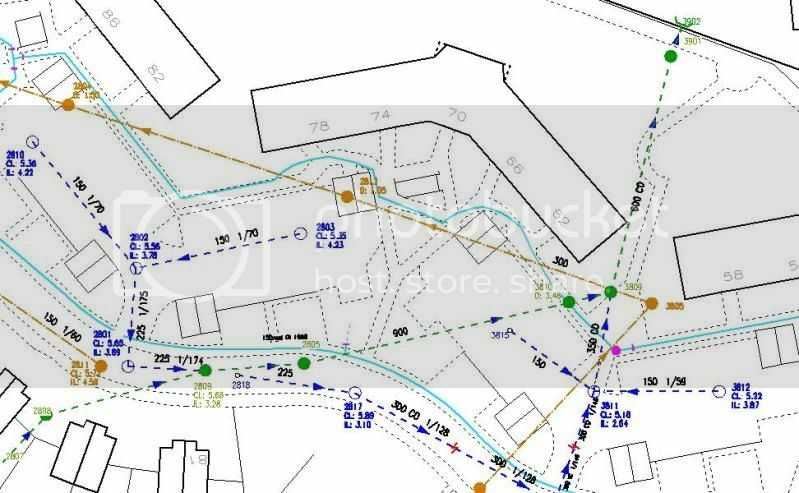 I think this is probably the flow which was once at the surface forming the Kinning House Burn but which is now underground in a pipe. “In my early days it was a truly beautiful spot, away from the smoke and stir of the city. The Kinning House Burn…was a sweet purling stream that meandered through the arcadian groves down to the river.” . On various maps over the years the river is also sometimes called the Shaws Burn, Shields Burn, or Mile Burn. It’s possible the same river had different local names along its short route, starting as the Shaws Burn, then becoming the Shields Burn, and finally the Kinning House Burn . Brotchie says the Mile Burn was actually a smaller rivulet further which entered the Clyde on the west side of General Terminus Quay , which must then have run close to Paisley Road Toll. The Kinning House Burn had its source in the springs of the old Shawmoss between Strathbungo and Haggs Castle and formed the eastern boundary of the lands of Kinning House. It was also the boundary between the counties of Lanarkshire and Renfrewshire, and for a part of its course it formed the western march of the Gorbals. The Magistrates of the Gorbals periodically rode alongside the burn on their horses when performing the old Scots ceremony of “Riding the Marches”. William Simpson catches a glimpse of the Kinning House Burn in its last years in his watercolour drawings from the 1840s (Figure 5-10). These images are probably the earliest that survive of any part of the Kinning Park area. Unfortunately, in later years the burn degenerated into an unpleasant open sewer as the land around it was feued and developed. This was an unfortunate feature of human occupation at the time and in 1799 the Rev Pollok complained about the stagnating stretches of water on both sides of the mile long road through Govan village which was “highly offensive to travellers” and which the villagers were at no pains to drain nor even considered it a nuisance . The Clyde itself was the eventual destination for the effluent in the Kinning House Burn and all the sewers and drains of Glasgow. This became a significant problem as the city’s population soared after 1850 because the effluent was completely untreated. Solids settled on the river bed increasing siltation, and decomposition gases destroyed all life in the river, a far cry from the abundant salmon fishing that used to flourish in the clear waters beside Govan in former times. The Clyde became a vast open sewer with the evil smell particularly noticeable in dry weather. Things had got so bad by 1875 - with a “highly offensive smell” and “absolutely sickening sights” - that the number of complaints increased from local residents and people who had to work on or alongside the river. Even the “doon the watter” cruise sailings were affected as large numbers of people preferred to get a train downriver to pick up the steamer rather than face the pollution around the Broomielaw. The situation only started to improve in 1894 when the city opened its first sewage works at Dalmarnock to treat the effluent before discharge (the tall, red brick Kinning Park Sewage Pumping Station - which is still prominent on the corner of Milnpark St and Seaward St - was opened in 1909). By 1901 “night soil carts” around the city collected the daily material and took it into the countryside for use as fertiliser on hay crops for feeding horses. Only horse manure was used on crops for human consumption. Glasgow could typically recoup about two-thirds of the cost of collecting horse manure from the streets by selling it to farmers. The collection work became the responsibility of the Council’s unfortunately named “City Manure Office” in Parliamentary Road in 1873.